Encourage the Man of Faith in Your Life! 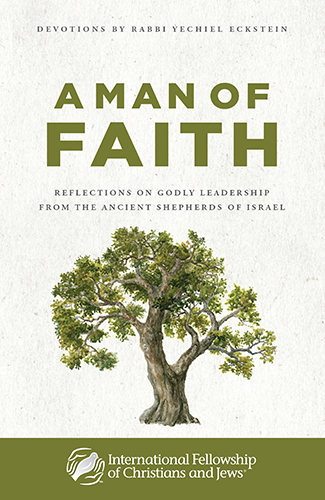 Based on Jeremiah 17 and what it means to be a man of faith, these devotions look at ten great leaders of the Bible and their defining characteristics. Each reflection includes a challenge for today’s man on growing as a man of faith, which you can detach and share with a special father, son, husband, brother, uncle, grandfather, or colleague for a special occasion, birthday, or graduation. Sign up for your FREE downloadable study today! Our mission at The Fellowship is to build bridges of understanding between Christians and Jews. You can access more of our booklets by clicking this link.